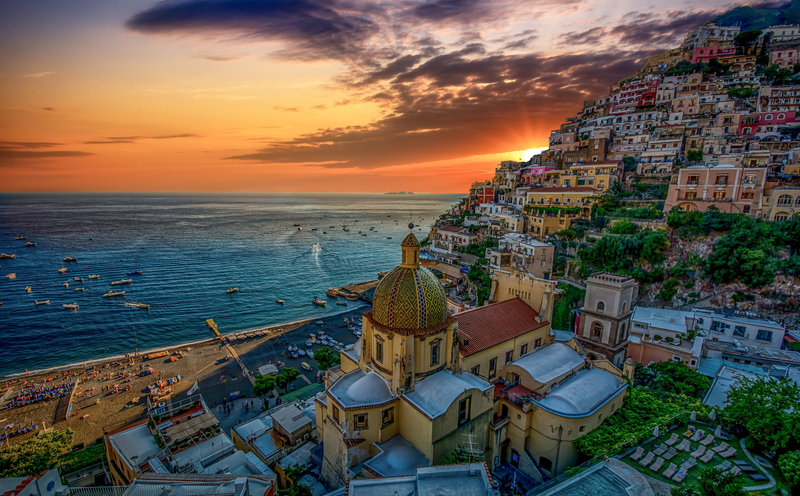 Italiano Limousine English Speaking Driver will meet you at your Cruise Dock and start a wonderful personalized experience, if you've already visited Florence you may want to take a look to Pisa And Lucca, defenitely 2 Italian masterpieces. One of Italy's signature sights, the Torre Pendente truly lives up to its name, leaning a startling 3.9 degrees off the vertical. The 56m-high tower, officially the Duomo's campanile (bell tower), took almost 200 years to build, but was already listing when it was unveiled in 1372. Over time, the tilt, caused by a layer of weak subsoil, steadily worsened until it was finally halted by a major stabilisation project in the 1990s. Pisa's unusual round baptistry has one dome piled on top of another, each roofed half in lead, half in tiles, and topped by a gilt bronze John the Baptist (1395). 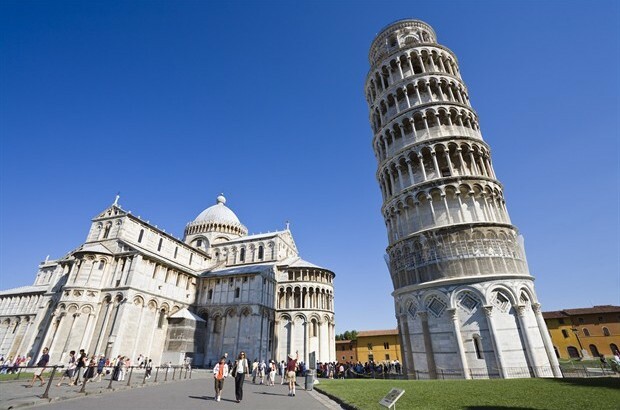 Construction began in 1152, but it was remodelled and continued by Nicola and Giovanni Pisano more than a century later and finally completed in the 14th century. Inside, the hexagonal marble pulpit (1260) by Nicola Pisano is the highlight. The lower level of arcades is Pisan-Romanesque; the pinnacled upper section and dome are Gothic. Piazza Dei Miracoli Pisans claim that Campo dei Miracoli is among the most beautiful urban spaces in the world. Certainly, the immaculate walled lawns provide a gorgeous setting for the Cathedral, Baptistry and Tower; on the other hand, few places boast so many tat-waving hawkers. 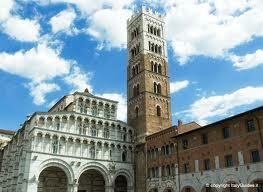 Lucca's predominantly Romanesque cathedral dates to the 11th century. Its stunning facade was constructed in the prevailing Lucca-Pisan style and designed to accommodate the pre-existing campanile (bell tower). The reliefs over the left doorway of the portico are believed to be by Nicola Pisano, while inside, treasures include the Volto Santo (literally, Holy Countenance) crucifix sculpture and a wonderful 15th-century tomb in the sacristy. The cathedral interior was rebuilt in the 14th and 15th centuries with a Gothic flourish. Legend has it that the Volto Santo, a simply fashioned image of a dark-skinned, life-sized Christ on a wooden crucifix, was carved by Nicodemus, who witnessed the crucifixion. In fact, it has been dated to the 13th century. A major object of pilgrimage, the sculpture is carried through the streets every 13 September at dusk during the Luminaria di Santa Croce, a solemn torchlit procession marking its miraculous arrival in Lucca. Fire the romantic in you with a stroll around this beautiful 17th-century palace where parts of Portrait of a Lady (1996) starring Nicole Kidman and John Malkovich were shot. Its baroque-styled garden – the only one of substance within the city walls – enchants with ornamental pond, lemon house and 18th-century statues of Greek gods posing between potted lemon trees. Summertime chamber music concerts hosted here are absolutely wonderful. Climb the grand outdoor staircase to the frescoed and furnished piano nobile (main reception room), home to Felix Pfanner, an Austrian émigré who first brought beer to Italy – and brewed it in the mansion's cellars from 1846 until 1929. From the copperpots strung above the hearth in the kitchen to the dining-room table laid for lunch, the rooms vividly evoke daily life in an early-18th-century Lucchese palazzo. 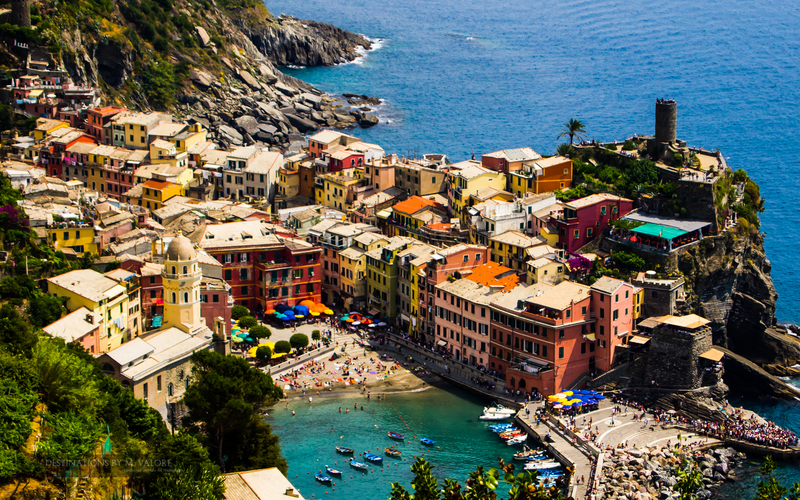 If this is your first time in Florence after taken a look to Firenze you will be quite impressed looking at one of the oldest Italian Cities, LUCCA. The size is astounding when you visit the ruins in Lucca are usually a highlight for those interested in anything archaeological related, as too are the magnificently preserved buildings around town. 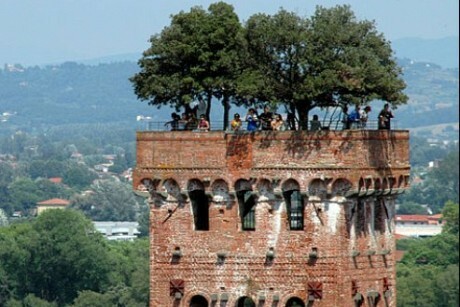 There are not many towns which can boast the number of historical as Lucca either, and you don't need to walk far to come across many of these before finding the Guinigi Tower or the main Cathedral. Probably the nicest part about taking a day tour to Lucca, is the relaxed atmosphere in which you now find yourself. This is quite rare in Italy given how popular are the nearby places such as Florence which you can see in the same day with a private driver, or even a luxury tour. It may not have the Leaning Tower of Pisa, but Lucca is a delightful place to watch the world go by, to see the locals go about their daily lives and stroll around the numerous pretty Piazza's which are scattered all around. Lucca is a beautiful town to visit, and a highlight for many given the nice local atmosphere and authentic nature of the city. Taking a private tour in Florence is also a huge advantage, there is literally too much to see or understand and with a local guide you have the opportunity to learn about your immediate surroundings. Over 2,000 years have past in Florence and many of these are visible within the walls of the city, the sculptures and imagery of famous ex residents which your private driver will always help to illuminate. 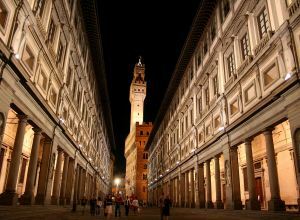 A walking tour is always appropriate here too, the Uffizi courtyard makes for a very nice place to visit while the impressive Brunchelleschi's Dome on top of the Cathedral is an example of just how much history Italy has when it comes to architecture. 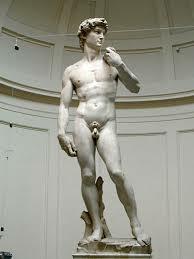 Florence is one of the most historic City's in the world and one of the most important influences in the history of art. 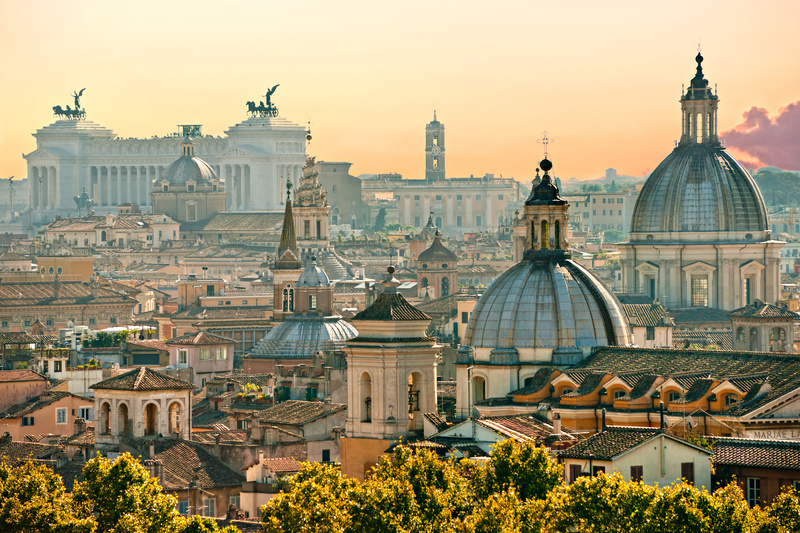 There may be a lot of tourists there at the same time, but it is simply unmissable due to the number of amazing attractions, and with Lucca being within reach in the same day, you have the opportunity to see the bustling energy of the capital for art, and a quieter city with a local feel. 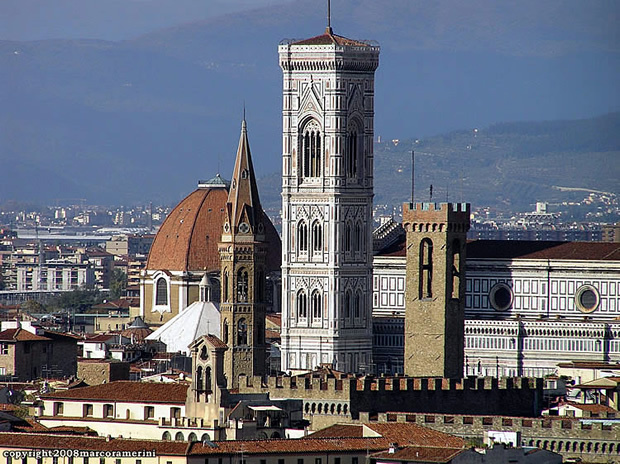 Italiano Limousine English Speaking Driver will meet you at your Cruise Dock and start a wonderful personalized experience, if this is your first time in Florence after take a quite good look to Firenze you will be quite impressed looking at the Leaning Tower. Clad in white, red and green marble like the cathedral adjacent to it, the majestic square bell tower, considered to bethe most beautiful campanile in Italy and probably designed more for decorative than for functional purposes, was begun by Giotto in 1334.By the time Giotto died in 1337 he had completed only the first part of his bell tower, up to the hexagonal panels which form a kind of figurative narrative carved by Andrea Pisano to Giotto's design, and to the reliefs (formerly on a blue ground) by Andrea Pisano and Luca della Robbia. Andrea Pisano carried Giotto's design up to the first two levels, while artists such as Alberto Arnaldi adorned the outside with carved lozenges. The rich decorative apparatus comprising hexagonal panels and lozenges embodies the concept of Universal Order and tells the story of the Redemption of Mankind. The reliefs begin with the Creation of Man and continue with a depiction of his Activities, the Planets which regulate the course of his existence, the Virtues which fortify him, the Liberal Arts which educate him and the Sacraments which sanctify him.